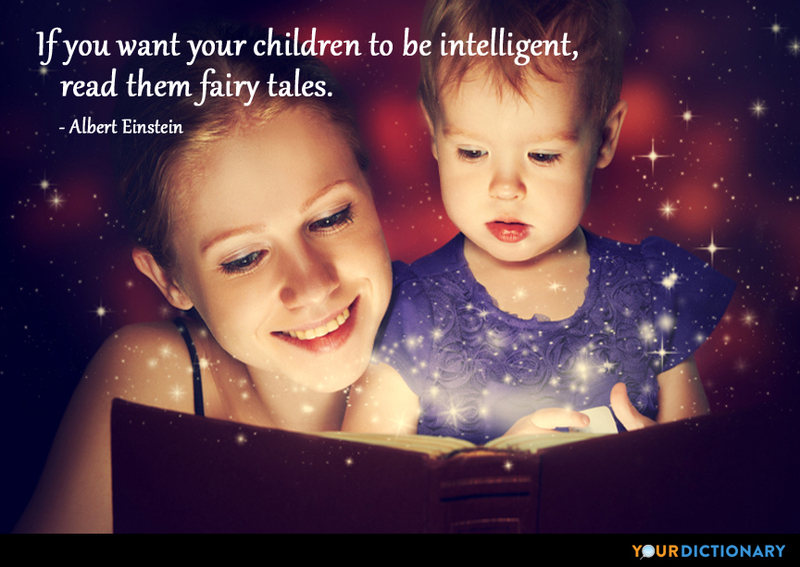 Every time a child says, "I don't believe in fairies" there is a little fairy somewhere that falls down dead.  1904 Peter Pan (published1928), act1. I have a passion for the name of 'Mary,' For once it was a magic sound to me; And still it half calls up the realms of fairy, Where I beheld what never was to be.  1819-24 Don Juan, canto 5, stanza 4. The whole fleet's lit up.When I say 'lit up',I mean by fairy lamps.  1937 BBC radio commentary of the Spithead review, 20 May, Britain's first live outside broadcast. 'Lit up' was a common euphemism for 'drunk'. Some say, that ever 'gainst that season comes Wherein our Saviour's birth is celebrated, The bird of dawning singeth all night long: And then, they say, no spirit dare stir abroad; The nights are wholesome; then no planets strike, No fairy takes, nor witch hath power to charm, So hallow'd and so gracious is the time.  William Shakespeare, Hamlet (1600-02), Act I, scene 1, line 158. The fairy stitching gleams On the sides and in the seams, And it shows That Pixies were the wags Who tipped these funny tags And these toes. I'll seek a four-leaved shamrock in all the fairy dells, And if I find the charmèd leaves, oh, how I'll weave my spells!  Samuel Lover, The Four-Leaved Shamrock; reported in Hoyt's New Cyclopedia Of Practical Quotations (1922), p. 702.  William Shakespeare, A Midsummer Night's Dream (c. 1595-96), Act V, scene 1, line 370.